Ever since version 1.3 (or maybe 1.3.1) I get [function.getimagesize]: failed to open stream: HTTP request failed error. It tries to open image from “https://ssl.jmedved.com/wordpress/content/media/usbamps_revb-300×127.jpg” when real image is at “https://ssl.jmedved.com/content/media/usbamps_revb-300×127.jpg”. My best guess is that this has a lot with my upload_path being “../content/media” and upload_url_path being “/content/media”. To me it seems that plugin tries to resolve path using upload_path instead of more appropriate upload_url_path. Can you check version 1.4 please? The script is not being able to get the image via curl for some reason. 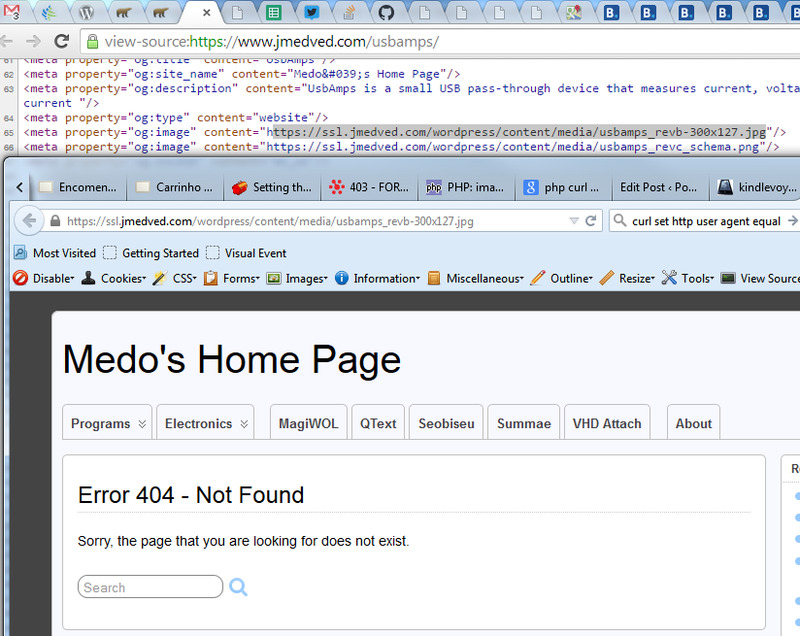 The next version will have some error validation so that the error does not show up on the webpage. Have you tried to activate “Force getimagesize on local file even if allow_url_fopen=1”? That is output from another opengraph program that also has issues with my configuration. My WordPress address is https://ssl.jmedved.com/wordpress and that is what I use for administration. However, site is at https://www.jmedved.com/. The topic ‘[function.getimagesize]: failed to open stream’ is closed to new replies.